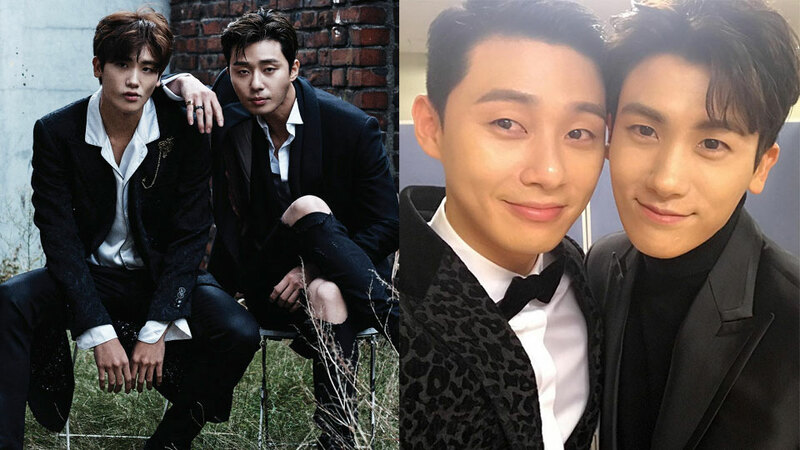 Park Seojoon and Park Hyungsik have once again delighted fans with their adorable bromance. On March 11th, the two took to their Instagram to upload photos they took together on the beach, standing side by side, facing the sea. Park Seojoon wrote in the caption, "We are looking at the same place. Several moments later, a couple passes in front of us." Uploading a similar photo, Park Hyungsik "continued" the story, writing in the caption, "After that, it's not easy to go to that place." It looks like the two were quite jealous of the couple, who can share love each other. Although a lot of emotions taken in the photos, fans could not help but tease the two single men. Several comments found on their posts are "Then you two can date, too," "You know the couple might also be jealous of you two," "Maybe it's time for Park Seojoon to propose," and more.